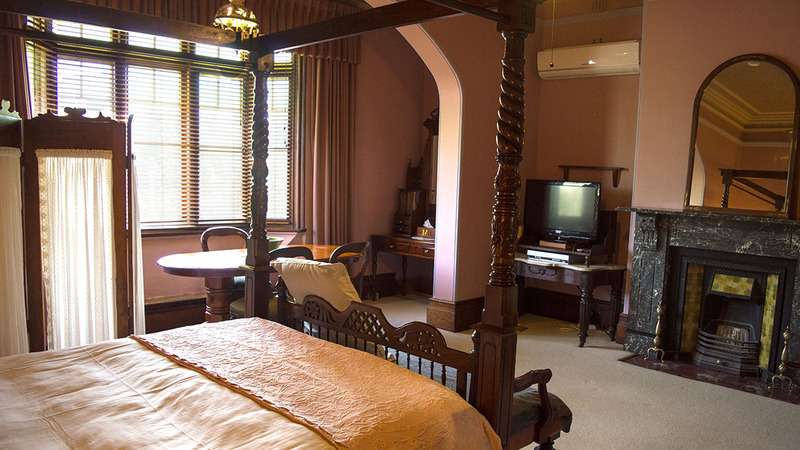 Overlooking the Victory Memorial Gardens, Keeping Time is a spacious well-appointed room furnished in luxurious Victorian detail. This large open room offers a quiet place to stretch out and unwind after a long day exploring the local surrounds. Our gorgeous four poster queen size bed has a firm mattress for full body support. 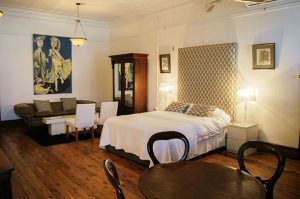 With spare blankets in the armoire and an electric blanket already fitted, you won`t be feeling the cold at all during winter. 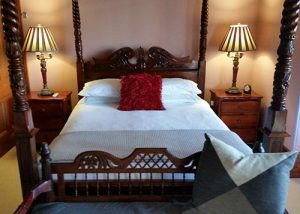 As an added bonus, tucked into one corner of this spacious room is a comfortable single bed. Perfect for guests traveling with a child or friend. 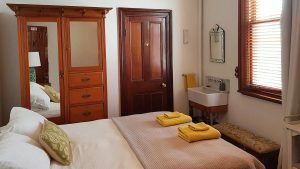 To help you relax and unwind, the bathroom has both bath and shower facilities. 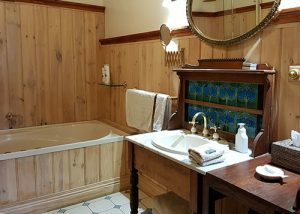 With spa jets fitted in the deep bath and complimentary bubble bath soap, a long luxurious soak is definitely an option! If you are looking for a place to set up your laptop, lunch and coffee, then Keeping Time`s dining area is an ideal spot. 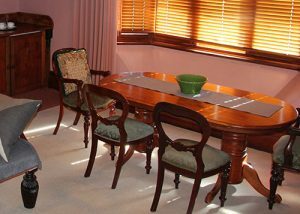 The dining table easily seats four people and looks out over Wagga Wagga`s Victory Memorial Gardens. Feel free to use our Guest Sitting Room as an alternative space to read, relax and unwind.